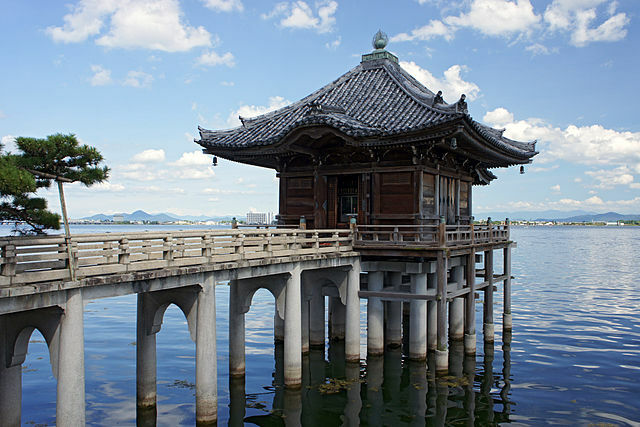 With its Northeast section facing Lake Biwa, Otsu is long and thin, curving like a bow. 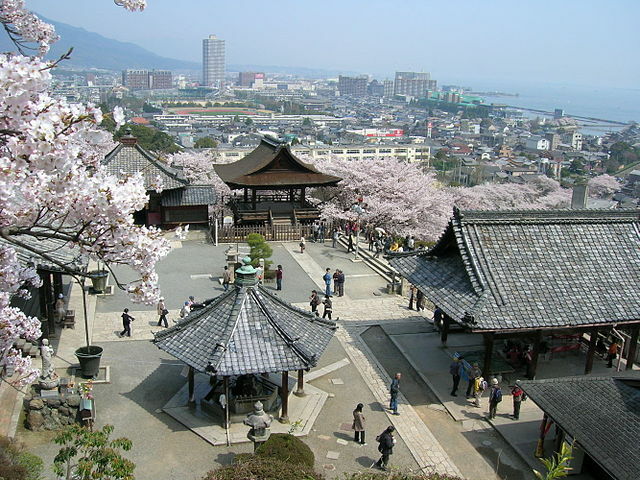 In ancient times, during the Asuka Era, Emperor Tenji relocated the capital to Otsu "then known as Omi-Otsu", allowing the city to control important trade routes through the Kansai region. Its position as a bridge between the north of the country and the capital meant numerous wars were fought for control of the city. After the establishment of Kyoto as the new capital, the Enryaku-ji Temple was constructed on Mount Hiei, and with the subsequent construction of the Mii-dera Temple "Onjo-ji Temple", the head temple of the Tendai Jimon sect of Buddhism, the region can be said to be a holy ground in Japan. On top of this, the city prospered as a result of its position along the Toukaidou trading route, and on the shores of Lake Biwa, where commercial shipping could flow through. Otsu is also home to the legendary Eight Views of Omi, but while numerous poems and paintings have been made in its honor, today one of the views 'the Breeze at Azusa' has been lost. At present, Otsu mainly functions as the administrative capital of Shiga Prefecture, a gateway to the Keihanshin Region "Kyoto, Osaka, Kobe" and as a residential district. 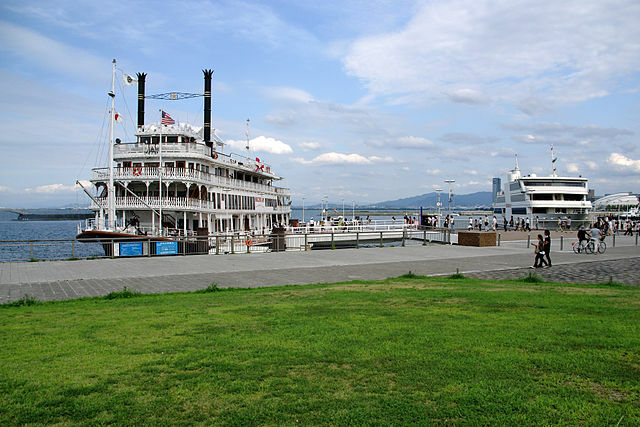 ​Lake Biwa is the largest freshwater lake in Japan. It attracts many birds and along with them birdwatchers. 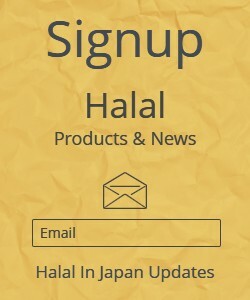 ​There are a large number of historical towns surrounding the lake, including Hikone, with one of Japan's 12 remaining original castles, Omihachiman, with an attractive restored canal area and a number of museums, Sakamoto, with the World Heritage Site temple Enryaku-ji, the famous temple of Ishiyama-dera, where Lady Murasaki wrote The Tale of Genji, and Nagahama, with Japan's oldest remaining train station building, an attractive historical district, and some significant temples and shrines, as well as a reconstructed castle. 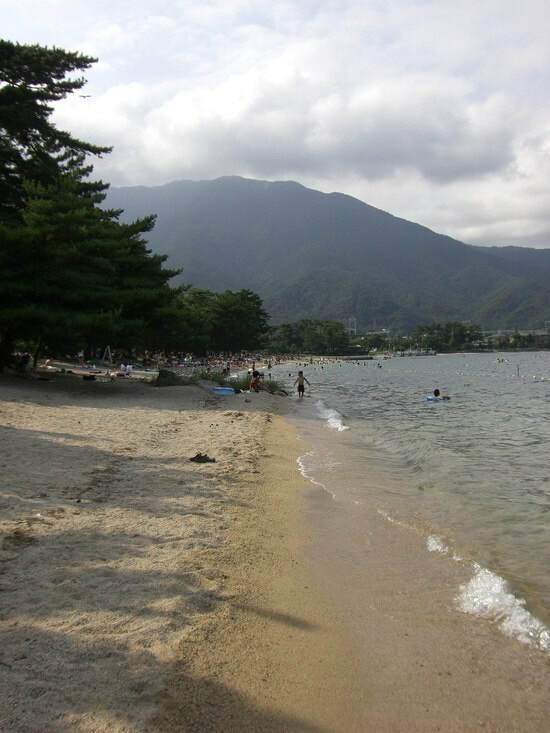 Visit Omimaiko Beach - The water of is very clean and the beach is very relaxing. Many people flock there on weekends and you can also camp there. Bicycling around the Lake Biwa area is great fun, with wide paved paths in many places, and approximately a 220km bike ride to go around the lake. You can rent a bicycle right next to the train station. Ride a functioning sternwheeler, the "Michigan". 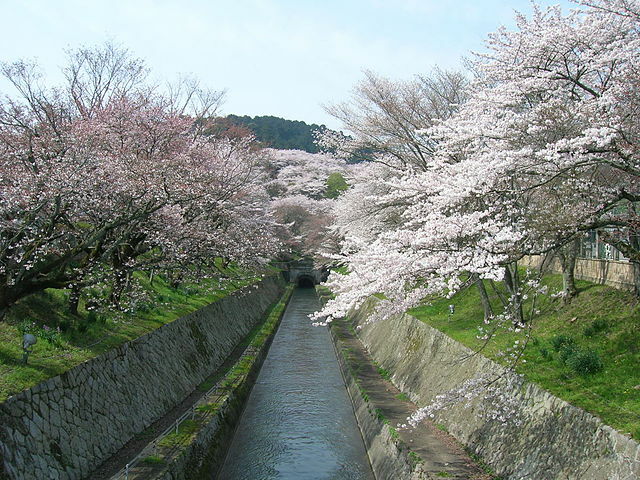 Cruises around the lake and ferries to Chikubu and Okishima depart from Otsu and Hikone. Biwa Lake also offers fishing from boat or shore, boat rentals, kayaking, scuba diving and more. There is a number of hot springs in the towns and mountains that surrounded the lake. There are also good hikes in the Hira mountain range on the west side of the lake. From Osaka it takes 1 hour by JR train to Omimaiko Station and only 30 minutes from Kyoto. The JR Tokaido Main Line and the Tokaido Shinkansen Lines run more or less along the southern and eastern coasts of the lake, connecting Otsu and Hikone to Kyoto and Osaka in the west and Nagoya in the east. The private Keihan Keishin Line provides the cheapest way of getting from Kyoto to Otsu and onward with a change of train to Sakamoto Station. For a guidebook visit Tourist Information Centers.